Words can mean so much more than strung letters. They hold emotions, aesthetics, beliefs and even ways of life. 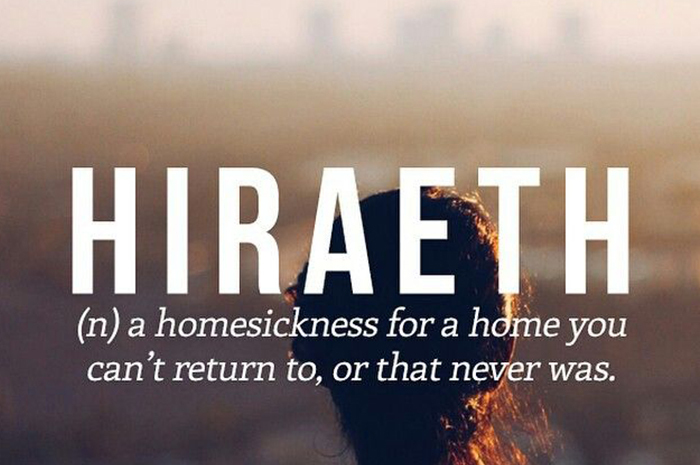 A wide amalgamation of languages across this world has produced many enigmatic and beautiful words. Here are some words that are so profound that a single English word cannot satisfy what they speak. Lítost can be translated any of “self-pity”, “pity”, “misery”, “sorrow” or “regret” depending on context. Probably the closest description that has helped understand it comes from Milan Kundera: “a state of torment caused by sudden insight into one’s own miserable self”. It is an abstract noun that speaks of feelings so enigmatic and complex that one not only grapples to comprehend it but also to describe it. Even its native uses are vague as it depends more on the emotions held in the situation than in reality. Simply, it can be described as the art of running your fingers through your lover’s hair. 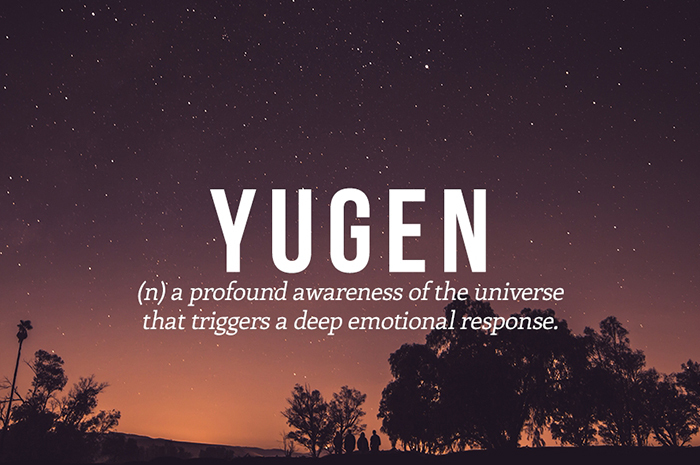 While that may seem like a technical verb, it holds so much more depth that it can be categorized as an emotion. It speaks of happiness, warmth, love, comfort and brings along a whole world of fireplace memories. Cafuné rightfully holds its position as one of the most beautiful words that the English language lacks. 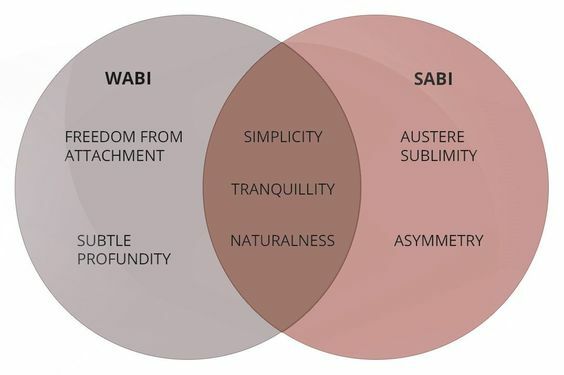 In traditional Japanese aesthetics, Wabi-sabi is a worldview centered on the acceptance of transience and imperfection. Wabi-Sabi is not a single word, emotion or description. Instead, it’s an abstract aesthetic that speaks beyond simple verbs, it speaks of ways of life. The aesthetic is described as a beauty that is “imperfect, impermanent, and incomplete”. It is a concept derived from the Buddhist teaching of the three marks of existence (三法印 sanbōin), specifically impermanence (無常 mujō), suffering (苦 ku) and emptiness or absence of self-nature (空 kū). This aesthetic itself is diverse and inculcates modesty, simplicity, asymmetry, austerity, and intimacy among many others. 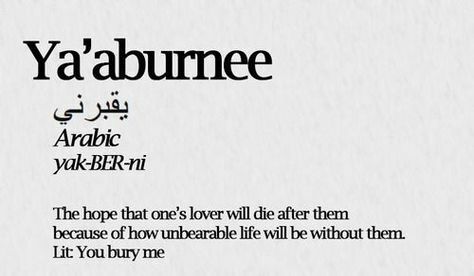 This word means ‘you bury me’. It’s a morbidly beautiful way of proclaiming one’s love. It is an expression of one’s deep love and helplessness to live without the other. The love is so intense and the longing so present, that they hope they will die before the other just so as to not live a life in solitude. The word describes a love so definite that even death seems more desirable than separation. Waldeinsamkeit is a word that is generally used to describe ‘woodland solitude’. 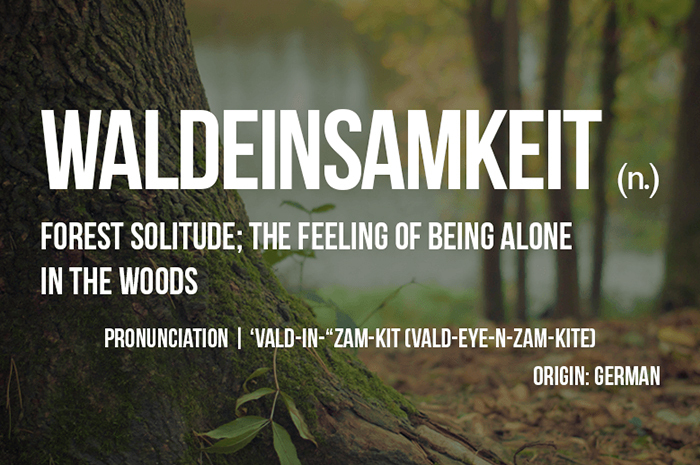 It consists of two words: “Wald” meaning deep woods, and “Einsamkeit” meaning loneliness. It is the feeling of being alone in the woods. Although one can associate it feelings of solitude and melancholy, it also hints at a connectedness to nature. The feeling plays a big role in religion and deep appreciation of Mother Nature. While simultaneously representing a more stable and strong mindset. 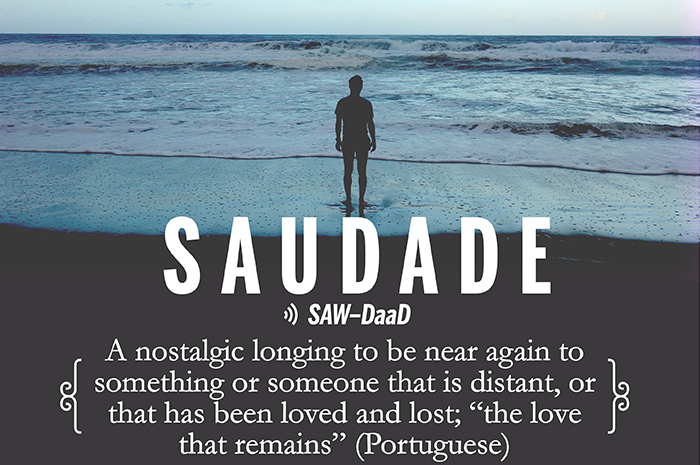 This word represents a longing or nostalgia that befits a more Brazilian or Portuguese temperament. It is especially used in reference to literature, songs, and poetry. In Portuguese folk culture, it represents a deep emotional state of melancholic longing for a person or thing that is absent. Home isn’t a place; it’s a state of being. Home is balanced, Home is reconciliation, Home is forgiveness, Home is release. Komorebi is a compound of ‘slipping through’ and ‘continuative stem forms’. It describes the visual of sunlight slipping through the treetops and gracing the forest floor. It is a poetic version of crepuscular rays (commonly known as god rays). 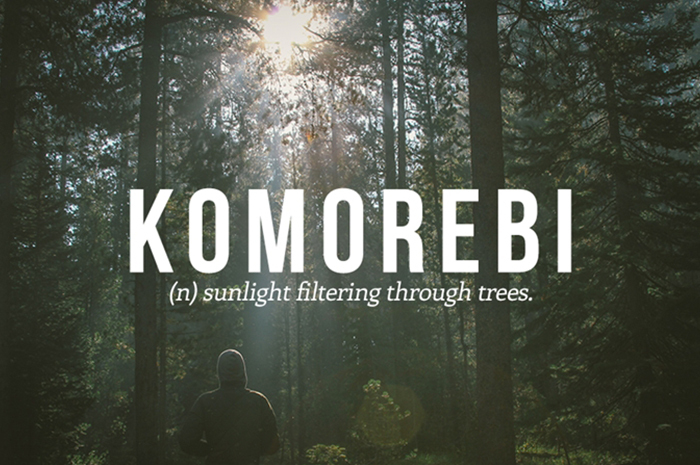 This is the word the Japanese have for when sunlight filters through the trees – the interplay between the light and the leaves. These words leave one with a more profound understanding of the intricacies and importance of the diversity in languages. So much beauty is hidden under the guise of all these diverse cultures and their dialect. Thus, it really promotes the need and the importance of multilingualism to truly understand the universal meaning of Life.